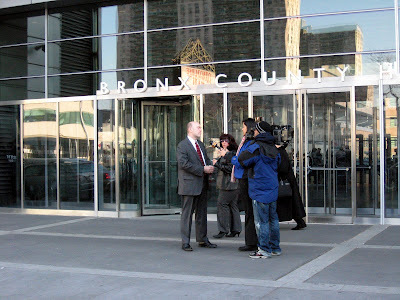 Three years late and $100 million over-budget, the new Bronx courthouse finally opened today. Many structual and design problems still exist - for example, a mere handful of elevators and defendant interview rooms were built - and are unlikely to be remedied. 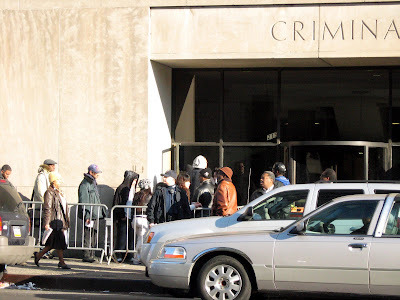 Meanwhile, the block-long line continues unabated outside Bronx Criminal court. 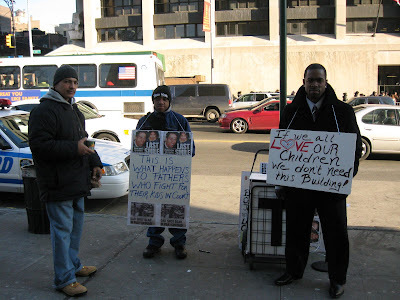 Opposite the courthouse on 161st street, New York parents protest the court house opening. More: New York Times, NY1.